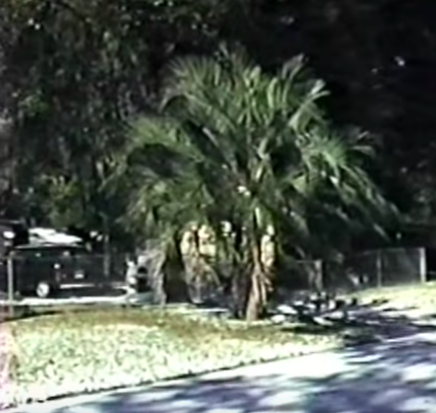 the jacksonville pindos and spanish moss did fine as seen in these screenshots from a 1989 video of the snow and ice. 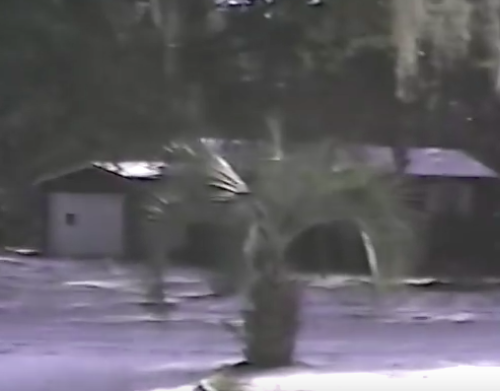 Footage from April 1990 still showing severe damage to Queens and Phoenix at Epcot at Disney World. I guess they left them there for a little while to see if some would come back. You can see the famous Phoenix reclinata clumps in front of the Spaceship Earth exit building. I wonder if the ones there today are the same or if they had to replace them. Even large Phoenix at MGM Studios looked to have been trimmed to remove damage. That was one tough freeze if P. canariensis or datcylifera took damage. 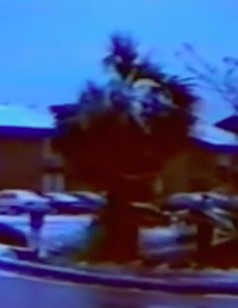 Some more footage from August 1990 with damage still evident at the Polynesian resort- I'm thinking those on the right were probably zone 9 hardy semi-tropical trees that had been severely cut back. Oh wow, cool images. The cut back trees at the Polynesian were probably Ceiba speciosa, Tipuana tipu or Peltophorum dubium. there is also a big Ficus macrophylla there that had canopy damage then. I think the P. reclinata survived but most of the queens died. They replaced the queen palms and now in recent years have been losing them to fusarium and they are being replaced with Wodyetia. Just like some Washingtonia robusta are being replaced with Livistona decora as they die from fusarium or lightning. Dec. 1989 was brutal, we had 2 nights around 20F with a high around 35F in between. I remember some P. canariensis having leaf burn and also W. robusta. Goodness. If that happened again, my entire yard would need replaced! Coco, Christmas palms, foxtail, bottle, majesties, plumeria, red copper, pygmies. Almost all of these are already a challenge with our fickle winters. I sincerely hope I'll be retired in a few more years and won't have the worries!!! My low this year was 20F, for about 1-2 hours. Any idea what the temp limitation is of Phoenix Reclinata? I have thought about trying a few Reclinata's, but I figure they will gas out in my climate. My CIDP, Dactylifera & Washingtonia seem to be thriving here though, as it is relatively mild and dry. Pure P. reclinata is burns around 28-29f, similar to P. roebelenii. In FL many are hybrids so there is widely varying hardiness. After the big '89 freeze the pure or mostly pure specimens had severe damage and many had stems killed. Most came back drom the roots but some were killed outright. Others that were hybrids had burn and some had no damage at all.